Many years have passed since I last wrote to you. At that time, I had just purchased a pre-registered CitroÎn BX TZD Turbo ñ a great car, I just loved it, which was then followed by a Renault Megane Scenic, and then a CitroÎn Picasso 2.0 HDi. But I digress, as you might well say! In 2006, I then purchased a nine-month-old Mercedes-Benz B 180 CDI, which gave us ten years of perfect service. At the time of purchase, I noted that it was fitted with a skinny spare wheel and tyre ñ not the best proposition if towing a caravan. But by lifting the boot floor to its highest level, you could fit in a full-size alloy wheel, which was therefore purchased and installed. 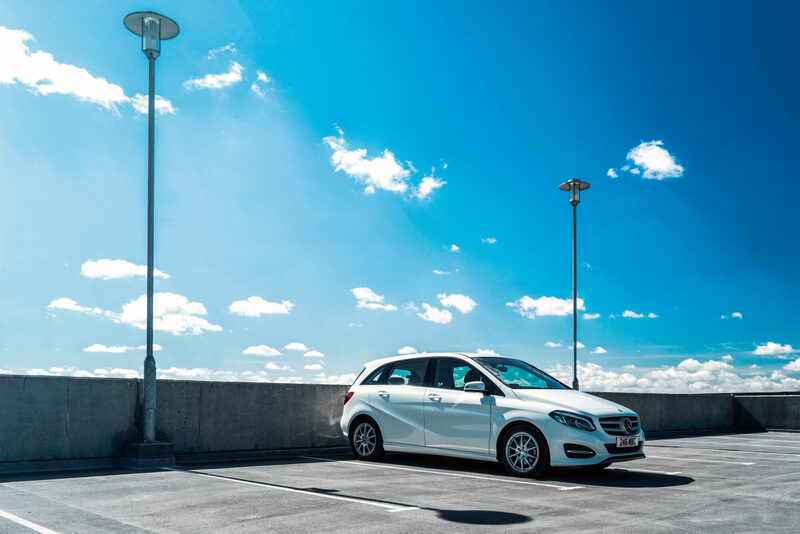 Then, in 2016, the ageing B-Class was replaced with a new model, six-month-old B 180 CDI, though this one is fitted with the Renault Nissan 1,461cc engine. A quick look under the boot floor revealed just the puncture repair kit and a compressor, but I realised that, with a bit of cutting here and there, I could probably get a skinny spare wheel to fit in. In the meantime, though, the alloy spare wheel purchased for the previous car was put in the boot, just in case, where it had remained, along with a scissor jack and rubber pad, ever since! Last week though, the nearside front wheel clipped a brick on the road, and the tyre was well punctured. As you would expect in this day and age, lots of horn tooting took place, as people wondered why we had stopped in such a place. That was until I hobbled out and opened the boot to lift out the spare, whereby, seeing my age and my walking sticks, motorists and passers-by were soon offering help, which was duly accepted, but to no avail, since we could not get the jack under the car! Time to press the Mercedes-Benz Assist button, and get some professional help, and half an hour later the man arrived in his van. On seeing the spare, his first words were ìGreat ñ we will soon have you up and away.î That was until he tried to get his jack under the car! A totally flat tyre on the B-Class leaves very little space for the jack, but fortunately the fitter had a small plastic ramp, so I drove our car up onto the ramp, the jack was then put under the car, wheel off, spare on, and we were indeed very soon on our way. At 87, I was very glad to have someone changing the wheel for me. But from now on, not only is the spare wheel in the boot, but also a small plastic ramp to get the car high enough to get the jack under! I send best regards to you and the rest of the Diesel Car team, hoping that my adventure is of interest to your readers. Well that is a very long time ñ I worked out that it must have been around 1993 when you last wrote ñ I was surely only just a lad back then! But it is always so good to hear from long term readers like you, particularly with interesting tales and useful tips. Ah the CitroÎn BX TZD Turbo ñ 0-60 in 11 seconds, from just 90bhp! Diesel Car rated that car very highly, in its time. But back to your puncture and spare wheel adventures. Such a ramp as you mention would be a very useful addition to any tool kit, both for puncture situations, and maybe for other purposes, particularly caravan levelling. My question is, where did you get your ramp from Len? Have you already found one (or a pair) that is suitable, and bought them? I found that they seem to inevitably come in pairs, and that many are quite bulky. The nicest looking and best-priced ones that I found were the Thule (the roof box people) Caravan and Motor Home Levelling Ramps, that are reasonably light (under 4kg the pair) but quite bulky at 22 inches long. I wonder if you found something even better than these, which are modestly priced at £26 for the pair, on Amazon. Best regards, and many thanks for writing, and sticking with Diesel Car for all these years! I will pass your very best regards to Ian and the rest of the team. All for now. Hope to hear from you again regarding the ramps. Being a retired caravanner, I already had some ramps lying around: these Fiamma Level System Magnum set (around £20 a pair) of levelling ramps are ideal for motor homes or caravans. They are designed with a self-locking overlapping system, allowing two ramps to be used independently, or be clipped together to make one level ramp with increased height. They have a maximum axle weight of 8 tonnes. Ramp height: 9cm, Ramp width: 20cm. Total Size: 50cm x 20cm x 9cm. Many thanks for those details Len! Take note readers!